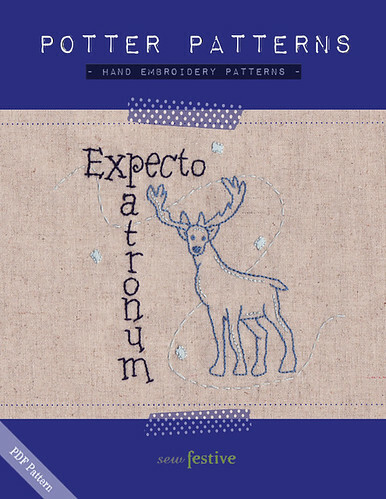 Sew Festive Handmade: Potter Pattern Reveal, Day 2! 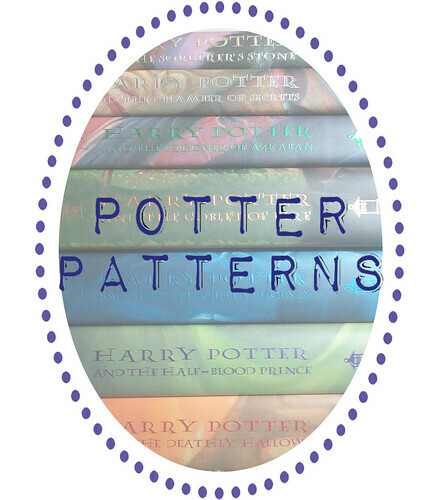 We're at Day 2 of the Potter Pattern reveals [check out Day 1 here]! Plus they all go on sale today, so check out the information at the bottom for details. 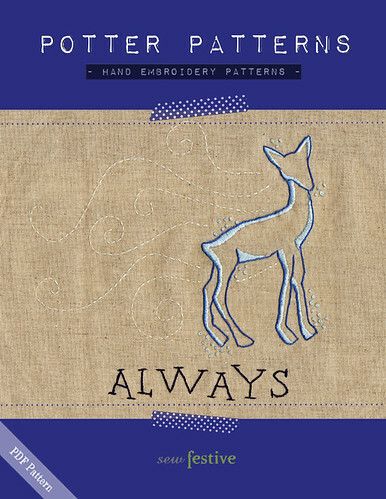 This is the simplest pattern in the batch and is an excellent pattern to start with if it's your first time embroidering, as it only requires backstitch and a tiny bit of satin stitch! In fact, it was Jessica's first time embroidering! 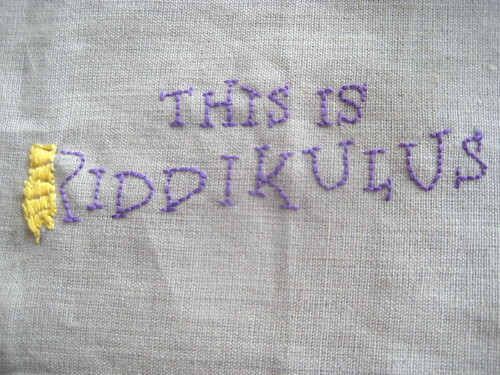 Look at her even stitching on the lettering! Crazy. 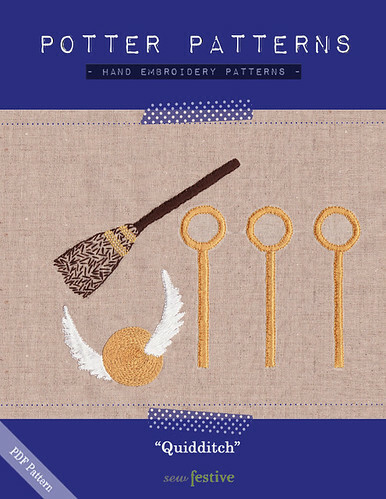 This pattern contains a broomstick, Quidditch hoops, and a Snitch! You can stitch them together or separately. I absolutely loveeee the texture of all the motifs in this pattern. But I don't love how the wings of my Snitch look a little messy; I started to get antsy after days and days of stitching Potter Patterns. Jennifer tested this pattern for me, and she chose the broomstick...considering she just moved to Maui and also tested a quilt pattern for someone else, she's pretty much Superwoman right now. 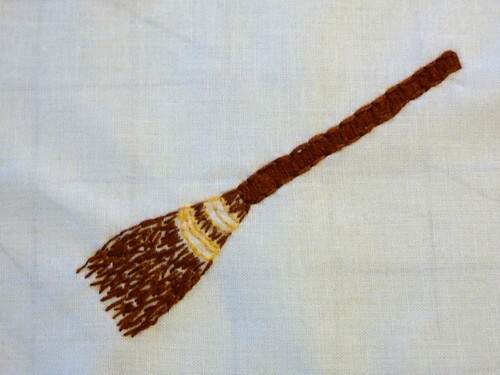 And how cute is her broomstick?! I love that she added extra twigs at the bottom to give it a little more fullness! This is my favorite pattern. I cry every time I reach this part in the books, without fail, despite the fact that I've read all the books probably hundreds of times. I worked the longest on this pattern because I wanted to convey a really ethereal magic; I hope you find it as beautiful as I do! This pattern finishes at about 14" across, so it's at least double the size of all the other patterns. As such, I asked two people to test the pattern. Katie's is the top and Fiona's is the bottom. Katie named her doe Herman! I love how she individualized it. And Fiona added some seed beads to her version, which I LOVE. 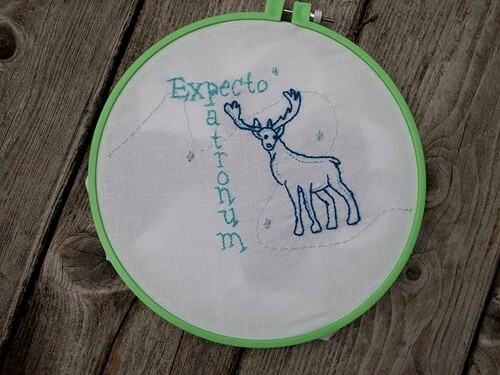 Plus she's using her stitchery on a memory box, as she doesn't have HP-aged kids anymore. It's great that this can be used for a more mainstream purpose! I want to thank all of my fabulous testers! You all were invaluable in streamlining the patterns so that anyone who purchases them can be assured of a quality product! All 8 patterns are now on sale at my Etsy shop and my Craftsy Pattern Shop! I'm celebrating the release with a special sale of a bundle of all the patterns. The bundle is $28 from today through Friday August 10th! 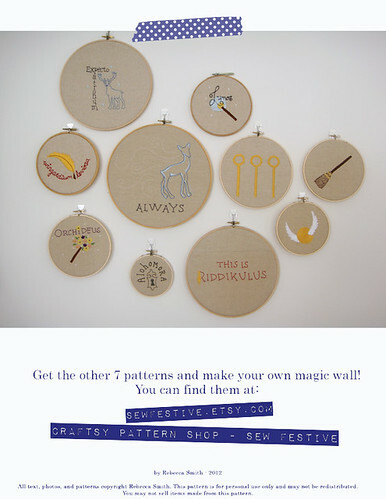 That's a total of $2.80 per pattern [as the Quidditch set is 3 patterns in one!]. The Etsy shop and Craftsy Pattern shop will also have each pattern listed separately for sale if you only want a couple. I will also be selling completed hoops that are stitched-to-order with the option for custom colors on some patterns. I love these patterns! I think the Riddikulus one is hilarious. I can see that going on a pillow. What kind of fabrics do you recommend stitching onto? I have only done cross-stitch before. 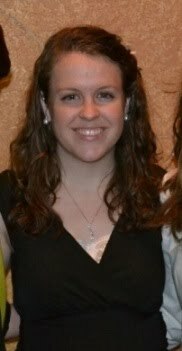 They all look great Rebecca! 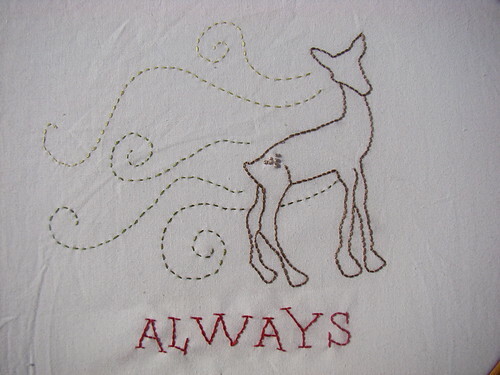 I especially love "Always." 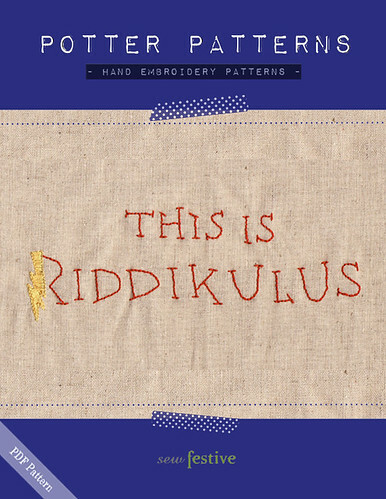 I love the Riddikulous!! They're wonderful!! Sooo well done. Woo! :) They look amazing! 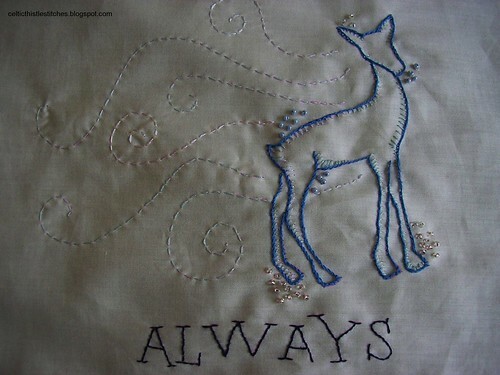 And thank you for the email :) I think my favorites are "Always" and the quidditch one. They are all fabulous! How much will the bundle be after today? Or will you not be offering the set?